I am Efe Duku – a principled believer in the Ogboru leadership philosophy, and a respecter of constructive intellectual discussions and reasoning. Today, I am joining the simmering ‘Anioma Agenda’ debate in the Delta APC in the hope that my thoughts would positively impact the debate. The views here are mine and I take responsibility for them in whole. Essentially, the proponents and supporters of the Anioma Agenda believe that on the chief ground of ‘equity’, the Delta State APC (not PDP) should somehow restrict its forthcoming Governorship primary contest to aspirants of Delta North origin. While some of them prefer some form of negotiated or conveniently ‘peaceful’ ban on aspirants from Central and South Senatorial Districts from the governorship race, some by their utterances, actions and inactions seem to believe that the exclusion should be merciless or high-handed. Some of the promoters of the Anioma Agenda strongly believe that there is an “agreement” guaranteeing each Senatorial District in Delta an unbreakable 8-year governorship tenure, though there is no copy of the said agreement anywhere and they are not able to guide the public on the date and place the agreement was reached. Nonetheless convinced of its reality, they reason that honour dictates that the unseen agreement should not be broken now that it is the “turn” of Delta North represented by Senator (Dr) Ifeanyi Okowa of PDP (not APC) – since Chief James Ibori of PDP (not APC) served Delta Central’s supposed turn from 1999 to 2007 and Dr. Emmanuel Uduaghan of PDP (not APC) supposedly served Delta South’s turn from 2007 to 2015. For them, since Senator Okowa of PDP (not APC) is already serving a four-year tenure (from the North’s 8 years), it would be much more convenient to field and elect a Governor from the same North to complete the North’s 8-year turn. This essentially summarises the main arguments in support of the Anioma Agenda. While one appreciates and respects both the promoters of the Anioma Agenda (or any other Ethnic Agenda), I must, as a matter of firm conviction, register upfront my total disavowal of “turn by turn politics” which is the irreducible minimum of ethnic irredentism in politics. It is divisive, unsustainable and suppresses huge and unique leadership potentials ordinarily needed at the top of the political leadership pyramid for a better organised society. It leaves the electorates with a limited field of leadership choices and consequently creates election apathy at the polls. It is wrong. Also, there is the perception in our peculiar Delta situation that this agenda is a high-stake scheme by the Delta PDP to perpetuate itself in power by promoting its lackeys, sympathisers or ‘errand boys’ as supposed opposition candidates or leaders. Our today’s reality of unbelievable governance recklessness and leadership impunity in Delta is the glaring evidence of PDP’s “turn by turn politics”. I cannot accept such an agenda. First, the Delta APC is not another Delta PDP. APC cannot hasten to become a glorified PDP by offering unconstitutional, selfish, and or hateful prescriptions or quick-fix solutions to the huge problems created by PDP for us. If it does, Delta’s electorates will easily identify and treat APC harshly as another PDP. It is APC’s duty as a party of “change” to think outside PDP’s failed ‘boxes’ and offer sustainable solutions to problems created by PDP. You cannot offer PDP’s exact failed ‘solutions’ and expect any positive change that Deltans would embrace. Therefore, any time the Delta APC is mistakenly tempted by elements within and or without it to operate like PDP, principled minds and agents of genuine change in APC must dispassionately interrogate the issues and advise against it or resist it altogether, if necessary. In this case, resistance is now building up against those who prefer PDP’s divisive ethnic jingoism to Ogboru’s consistent pan-Delta agenda. Indeed, what is wrong if the APC dares to be different from PDP by adopting a comprehensive pan-Delta governance agenda that gives every qualified, interested, visionary, principled and resourceful Delta APC member or leader an equal, free, fair and credible electoral opportunity in its governorship recruitment process? Must we adopt PDP’s 19-year old failed ethnic agenda? Who says we must proclaim ourselves as lazy copycats who cannot offer a better alternative to PDP’s divisive, exploitative and clannish approach to public governance? Further, the APC constitution does not provide for premeditated exclusion of candidates from elections and nobody can do that. Whoever thinks and acts otherwise is on a journey to nowhere. More importantly, the Nigerian Constitution clearly does not recognise the superiority of primordial ethnic political agendas in our national politics. Within the stipulations of our Constitution, the right to vote and be voted for is sacrosanct and cannot be curtailed by clannish political interests that are motivated by deceitful political schemes not meant to serve the people’s best interests. Therefore, unless reasonable proof is shown otherwise, it may seem just right to conclude that some proponents of ethnic political agendas may be deliberately attempting to conveniently operate outside the Constitution in their sometimes intolerant and arrogant demand for the disqualification or exclusion of otherwise qualified and popular contestants from the electoral process in order for their anointed contestants to stand, even if they are the weakest contestants. Such an oppressive pursuit of unconstitutionality can never stand. Never. For those who believe in the Rule of Law and supremacy of the Constitution, only free, fair and credible primaries will do. 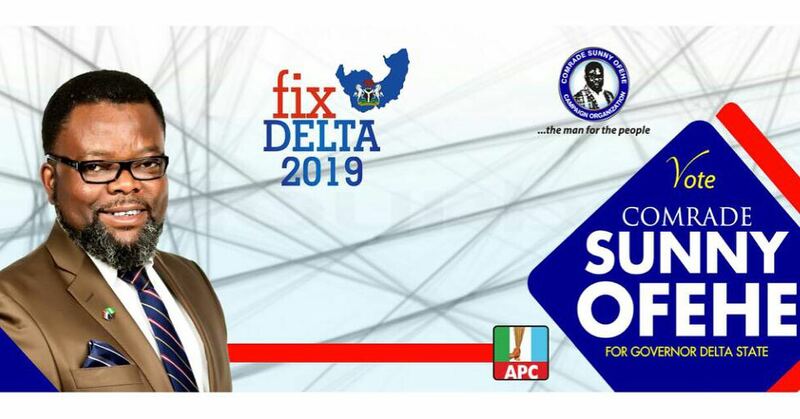 Anything less is a prescription for chaos which the Delta APC does not need. For indeed, who is that true democrat who fears or hates healthy electoral competition? It has been specifically contended by some present-day APC architects of ethnic-based politics that Olorogun Great Ogboru should not contest the 2019 Governorship Election in Delta – even if he holds the ace for APC’s victory. For them failure is a better option than victory through Ogboru! As an aside, this sounds so much like those desperate external PDP elements who, not able to find a match for President Muhammadu Buhari, are everywhere scheming for him not to contest the 2019 Presidential Election, right? The difference this time is that they are within. But what is the ‘Fear of Ogboru’ really about? Some say his entry into the race will violate the so-called “agreement” with regards to the Anioma Agenda. Some say he should just ‘rest’, having contested severally and not gotten power but they do not tell the truth that PDP brazenly rigged those elections and Ogboru exhausted all options available under the law to correct PDP’s illegalities. They would also not tell you that some of them are themselves serial victims of PDP’s electoral impunity in Delta. They will not tell you that although many have admirably supported the struggle to liberate Delta from PDP’s clutches of bad governance, Ogboru has himself also spent his personal fortune in the struggle. They just prefer whatever that is anti-Ogboru! Therein lies sore hate which does not edify or promote any man. It would seem some in APC who are clandestinely working for PDP just fear that Ogboru’s often electrifying presence in Delta elections will give APC overwhelming electoral victories in Delta. Theirs may therefore be a well-coordinated mission to work from within the APC (just like the Russians appear to have done in the 2016 US elections) to undermine Delta APC by first attempting to undermine Ogboru. 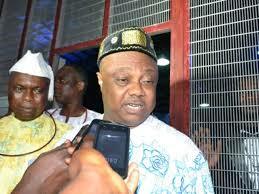 Some just simply hate Ogboru’s star and are bent on dimming it. Also, being human, Ogboru may have unwittingly offended some and they see 2019 as a payback time. Anyhow considered, the ‘Fear of Ogboru’ is real but unfounded. While Chief Ogboru may not have officially declared to contest the Governorship of Delta in 2019, one can say with confidence that many Deltans desire to see him lead Delta with his visionary pan-Delta governance ideas, not based on any ethnic agenda. With an Urhobo father, an Ndokwa mother and an Ijaw wife, Ogboru is larger than and connected beyond ethnic sentiments and would never join those who seek to divide our people. Deltans want a detrabilised governor, not an ethnic champion. Let me say that assuming the effectiveness and superiority of an agreement in support of an ethnic agenda were possible under the law, it would be dishonourable for any Deltan, including Ogboru, to go against it. In this case, there is none and there cannot be. APC as a self-respecting party cannot reasonably appropriate PDP’s deceptive and failed ethnic agenda as its own article of faith. So, unless the promoters of the Anioma Agenda can show cogent and responsible proof of an agreement that lawfully binds Ogboru, they are wasting their time with regards to the 2019 elections. Ogboru can and will contest, if necessary. Indeed, if Deltans from North, South and Central contested in the last PDP primaries with Okowa in 2014 without discrimination, it confirms that even PDP did not hold itself bound by the so-called agreement. In any case, if Anioma Agenda, rather than a pan-Delta Agenda, is uppermost in the mind of any APC ‘member’, would it not be easier for such a person to simply come out openly to support the re-election of Senator Okowa rather than do so by disorganizing the APC as a potent vehicle for change? After all, Okowa is an Anioma son. They should not be ashamed of supporting him openly since for them being Anioma is of and by itself a much more important criterion in governing Delta than proper leadership values of competence, honesty, vision, and commitment to service. On the question of the few who, for whatever reasons, may be troubled by Ogboru’s name, I must say, “Fear Not.” Ogboru is not desperate for power. He is simply persisting on doing good by leading our people well and he is enabled to do so under our Constitution. At the risk of immodesty, the Delta APC needs Ogboru more than Ogboru needs the Delta APC. APC House of Assembly candidates would need Ogboru’s unique electoral effervescence, persona, mystic and standing army of dedicated grassroots mobilisers to make them win easily. This also applies to House of Representatives and Senate candidates. And with Ogboru as APC’s Governorship candidate, President Buhari will surely sweep Delta. As it is a symbiotic relationship, if APC makes the right calls, it will easily win Delta with Ogboru emerging as Governor. But APC must field the right candidates. The right governorship candidate for APC is a uniquely popular leader who, under the Constitution, can score majority of the total lawful votes cast in the entire State and at least one-quarter of the total lawful votes cast in at last 17 LGAs. With due respect to other possible contestants, I am wholly convinced that Ogboru best fits this challenge. 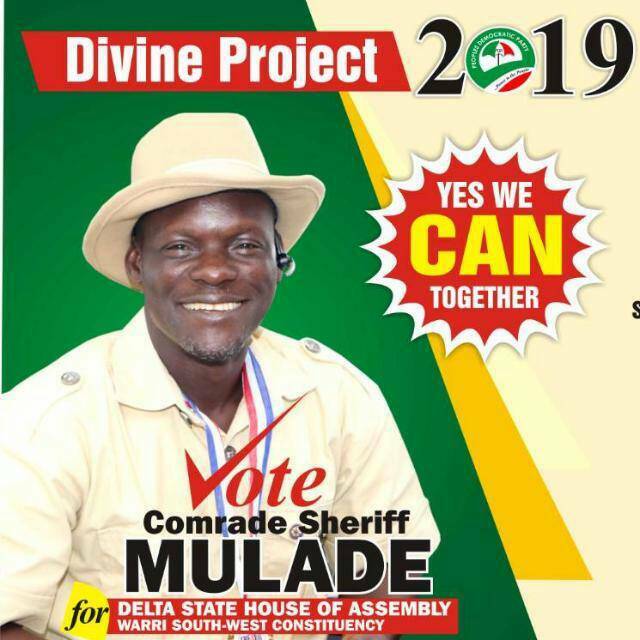 He is the one who will most likely sweep majority of Delta Central (with 8 LGAs that are very rich in votes) and take at least 9 or 10 LGAs from Delta South and North combined. Who else? This is the reality that gives credence to the thinking in some quarters that some sponsors of the Anioma Agenda may be deliberately leading some gullible APC aspirants to the electoral slaughterhouse knowing that they can never win – so that they (sponsors) may happily come back in 2023 to play their own ethnic agenda after scheming to help Okowa from within the APC. But again, this will fail because Ogboru is tougher than such deceit schemes. He will contest, if necessary. And if he does, APC will win convincingly in Delta.